“Give me the blues to drive away the blues“. Said who? Me, of course. Blue for me symbolizes positivity. 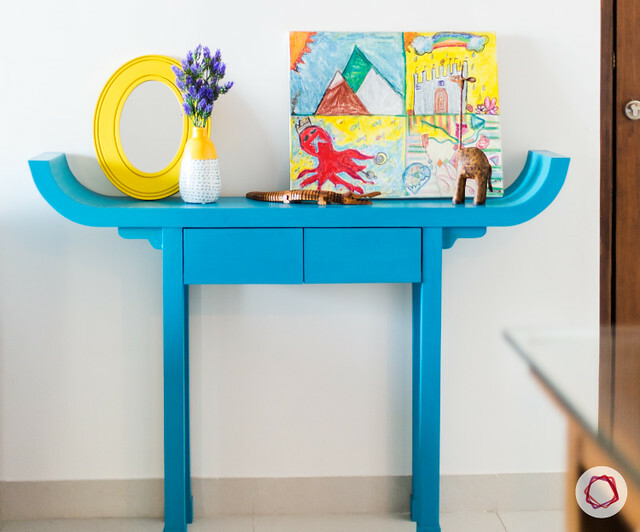 And, here’s a home that celebrates this exuberant color in its various hues, tints, and shades; add a Moroccan touch to it and you can assured of a stunner. 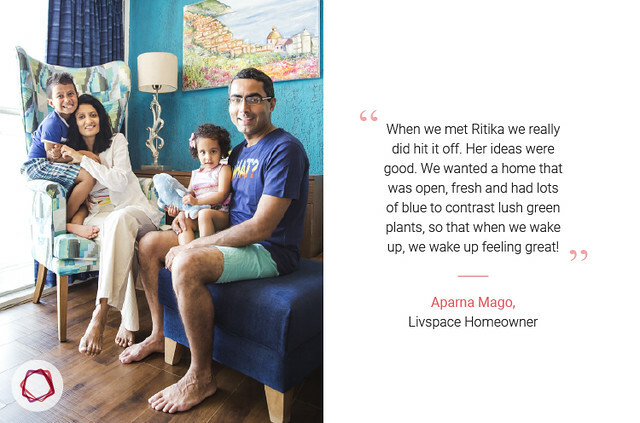 This 2-bedroom, 1000 sq.ft Mumbai apartment with three balconies belongs to the Magos, and has been designed by Livspace. 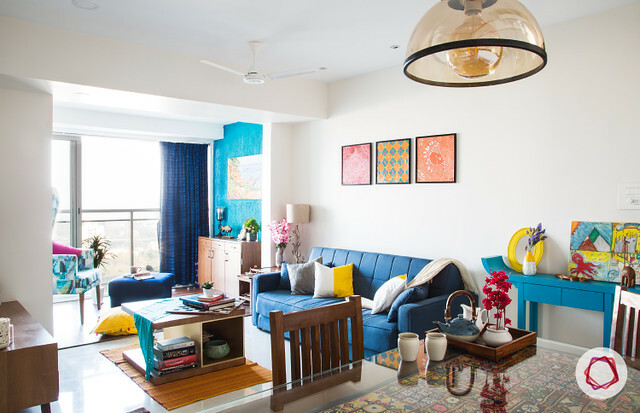 The apartment elevates blue to another level incorporating it everywhere from furnishings and wall color to furniture and artwork. 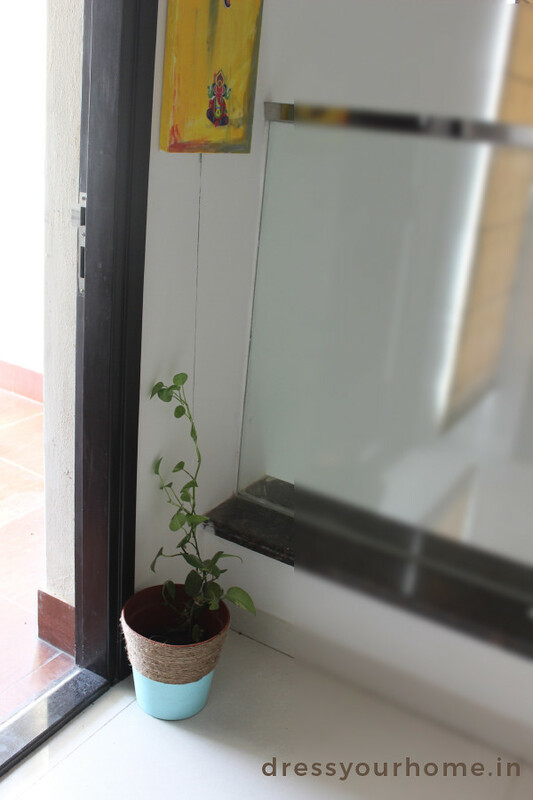 Make space when there is no space: space need not be a deterrent for storage. 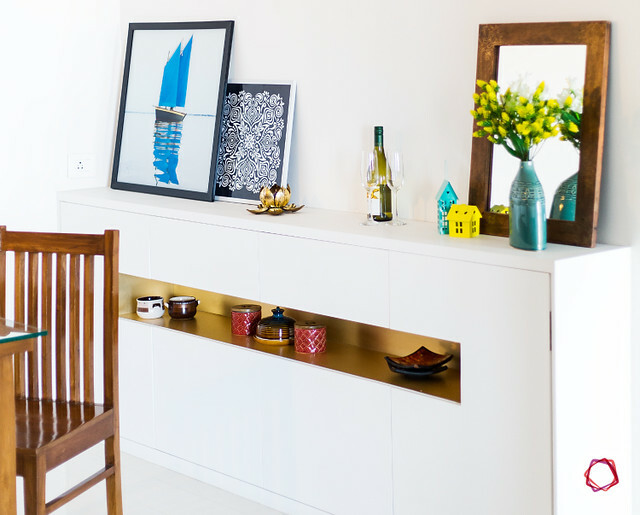 Think inside the box to create multi-functional pieces such as built ins, a sofa that can double up as a bed for guests, a coffee table with storage. Single color rules: Stick to a single color. 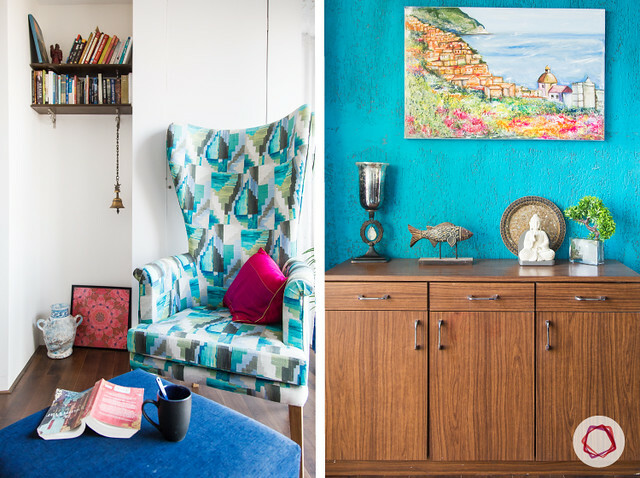 The apartment plays with various shades of blue throughout to bring that cohesive look. 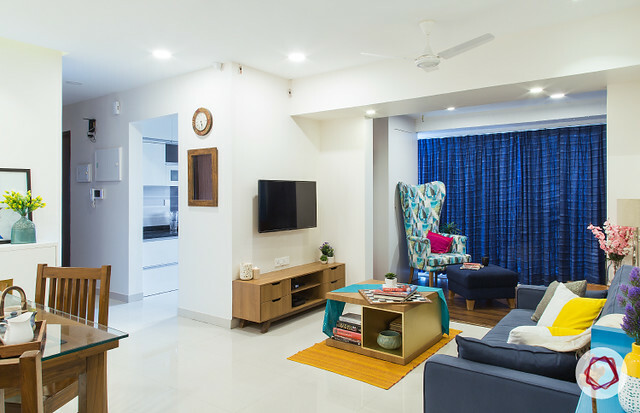 For instance, from the blue sofa in the living to cushions in the extended space and wall texture in the balcony, it’s blue all the way. Why white is a safe bet? Keep the walls white to maximize the feeling of space while bringing in the warmth through warm oak. 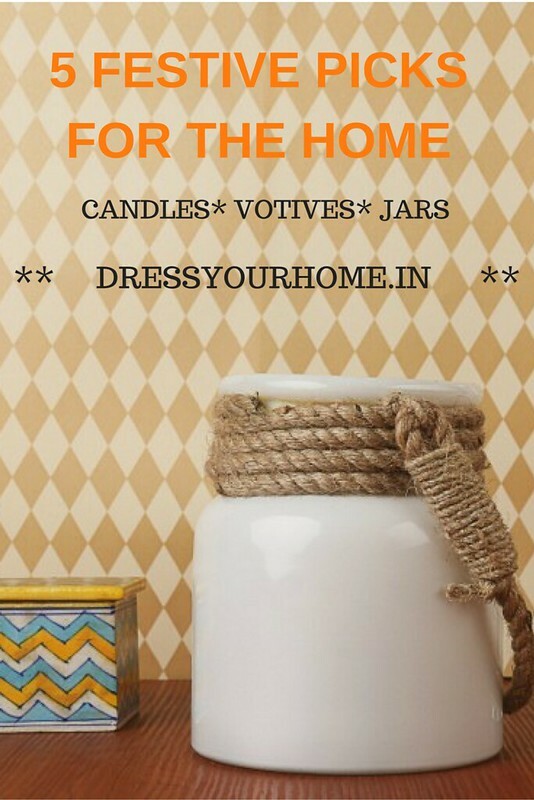 Add pops of color for the fun element and break the monotony. Bring down the walls: Don’t be afraid to break down walls. The balcony wall was broken down to expand the living room make it appear seamless. 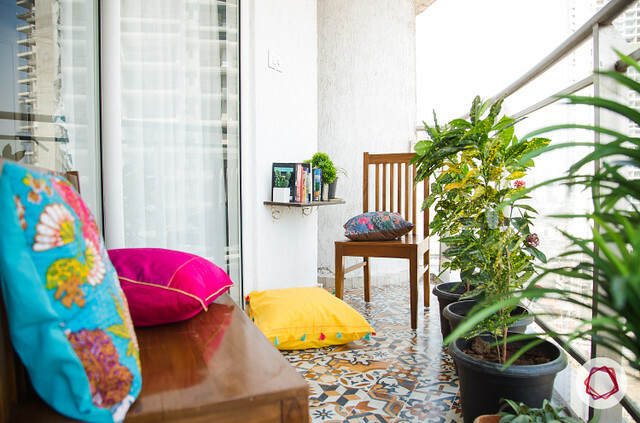 At the same time, the balcony can function as a space of its own, a nook, if need be. Reuse your old furniture by upholstering / distressing and dressing up the space around it so as to draw the eyes away from what you may perceive as an eyesore. Case in point is the old cot in the master bedroom. 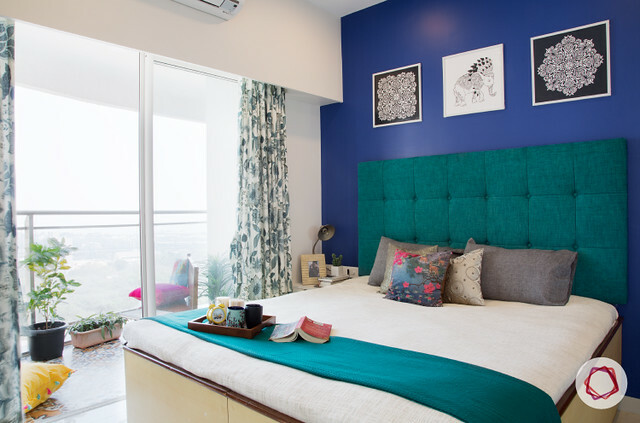 By painting the accent wall in Monaco blue with a beautiful tufted peacock green headboard, the eyes are constantly on the move without settling on the bed. What’s your story? Give a twist to the old with your personal stamp on it. 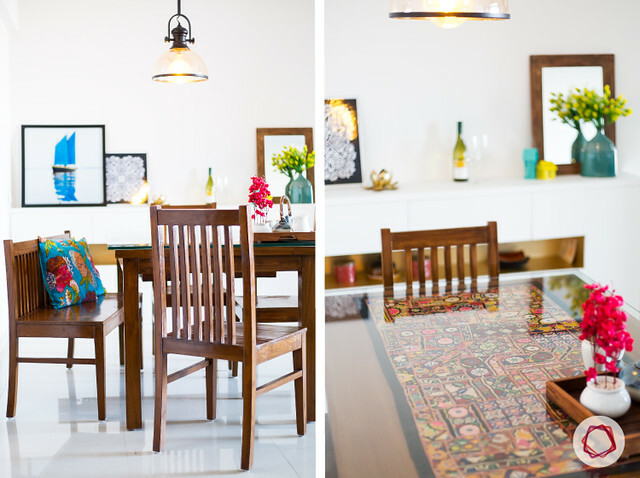 Case in point is the applique fabric on teak dining table sandwiched between a layer of glass and the table. Think textures: Play with textures from flooring to wall finishes as a uniform smooth or rugged finish can get boring. Time to step inside and tour the home. Shall we?